And so Sammy Returns! I’m sure many of you are happy to see him back! Unfortunately, Smoothie Home has ended, but Sammy is bringing something totally new. His new comic, Night Tales, offers us his own interpretation of classic fairy tales and legends. Having read this chapter through already, I can tell you all that you are in for quite a treat! I am probably going to start posting Night Tales on the days that the Weirdest City does not run, so that Scribble Demon will be updating every single day now! Exciting, huh? 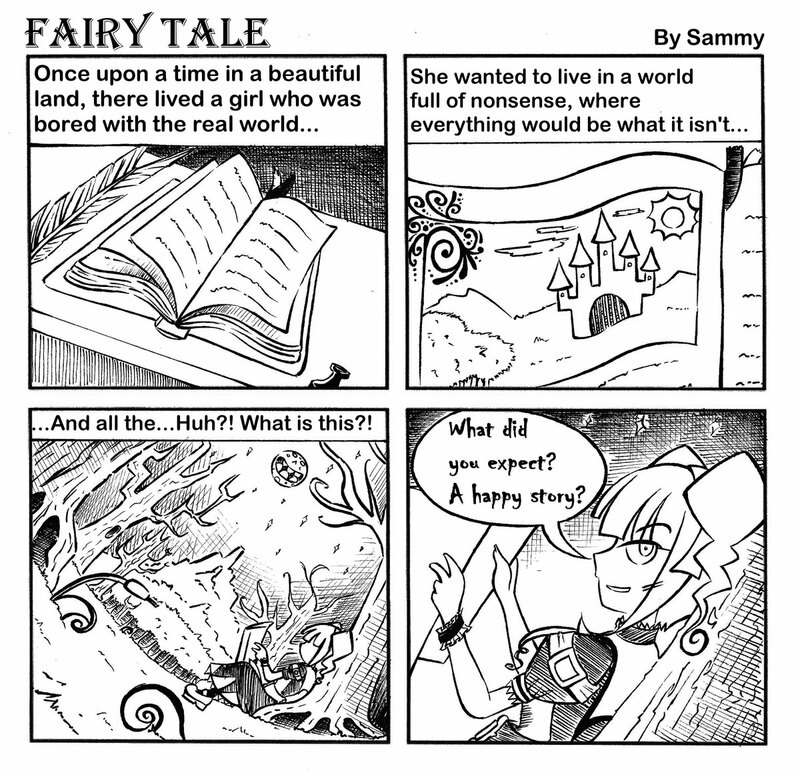 Sammy is currently well into chapter 2 of Night Tales if you have been following the Daily Texan, but we are starting here at the beginning! Enjoy!